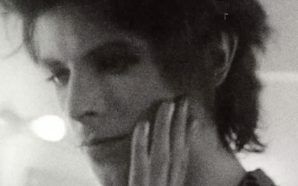 The 1980 Floor Show was conceived by Tony DeFries and Bowie as a vehicle to launch his career in America. 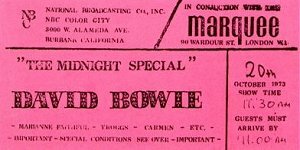 It was recorded as a special for the US TV show Midnight Special, and filmed at London’s Marquee Club (where Bowie had performed frequently in the ’60s) between 18 – 20 October 1973 before an invited media and fan-club audience. It was aired on NBC in the US on 16 November 1973. 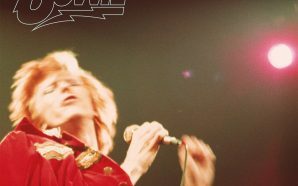 Freddie Buretti crafted the costumes, and Bowie formed a backing trio, The Astronettes, consisting of Ava Cherry, Geoff MacCormack and Jason Guess, whom Bowie knew through a friend who owned a soul-food restaurant. 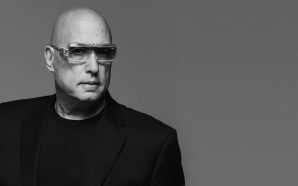 Mark Pritchett, who’d worked on the sessions that gave birth to both Hunky Dory and Ziggy, came in to augment Mick Ronson on guitar. However, the show itself was a mess, with cheesy sets and uninspired camerawork. Even the audience who’d been invited were mostly underwhelmed. Also featured in the show were Carmen (an Anglo-American flamenco-rock group who failed to start any sort of trend and sank without a trace as a result), The Troggs (a radically minimalist pop R&B group who narrowly missed becoming the Ramones of the ’60s) and Marianne Faithfull, and Bowie was accompanied for the last time by most of the Spiders. However, they weren’t particularly thrilled to be there, as this quote from Mick Ronson suggests. One of the few highlights for the musicians was the sight of Marianne Faithfull’s backside, clearly visible in her nun’s costume. 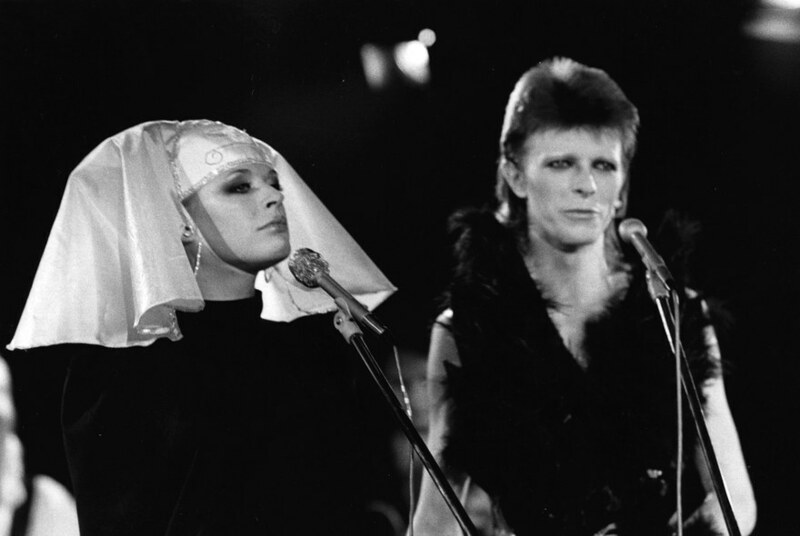 It was certainly more pleasing than her singing, in a rather Teutonic version duet of Sonny and Cher’s ‘I’ve Got You Babe’, which sees singing partner – and rumoured lover – Bowie wincing at her frequent bum notes. Ava Cherry remembers Defries being convinced that the production ‘was going to give us the juice to go into America and really be big’. If so, he was wrong. 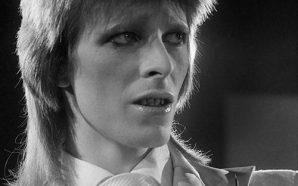 The show had many of its more intriguing content edited out – Bowie’s costume was declared too provocative, as was the word ‘suicide’ in ‘Rock ‘n’ Roll Suicide’ – and the show, after its initial broadcast, languished in the archives. During the show, Bowie performed ‘1984’ (which eventually turned up on the album ‘Diamond Dogs’) as part of a medley which also incorporated ‘Dodo’, a song from the aborted musical ‘1984’ which wasn’t released at the time, but turns up as an extra track on re-releases of ‘Diamond Dogs’. 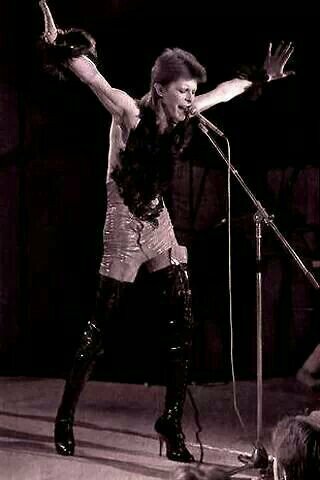 The staging of the number – Bowie in an ornate Japanese gown torn off him by the dancers half-way through to reveal one of the most ludicrous leotards ever to grace the human form – seemed to have only the most tenuous connection with the Orwellian vision.